Frog Level Brewing has some of the smoothest craft beer to touch your tongue. From the bite of our IPA to the smokiness of our Scotch Ale and other fine recipes in between, you can get a pint of any of these flavors to drink in our tasting room or get a Croaker (2 pints) or a Growler (4 pints) to take with you. 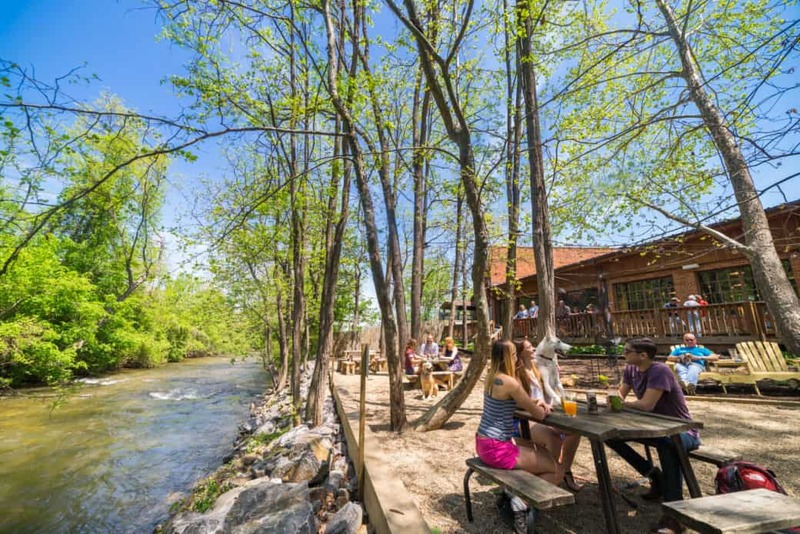 If you’re hungry, bring your own food and enjoy it with any of our fine handcrafted brews inside or on our back deck overlooking the flowing creek. Enjoy live music on our brand new outdoor stage!